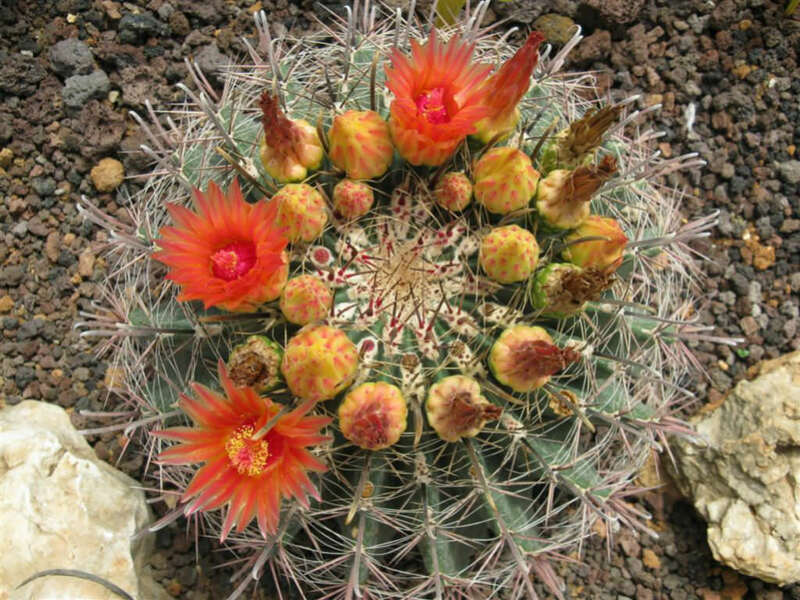 Ferocactus wislizeni is a barrel shaped or columnar cactus with cylindrical stem, up to 30 inches (80 cm) in diameter and up to 6.5 feet (2 m) tall. 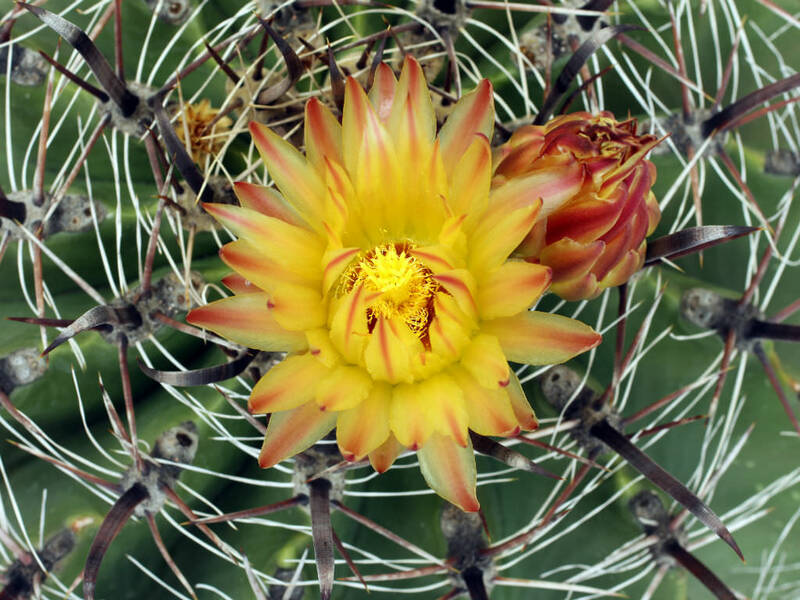 The spines are thick and hooked. 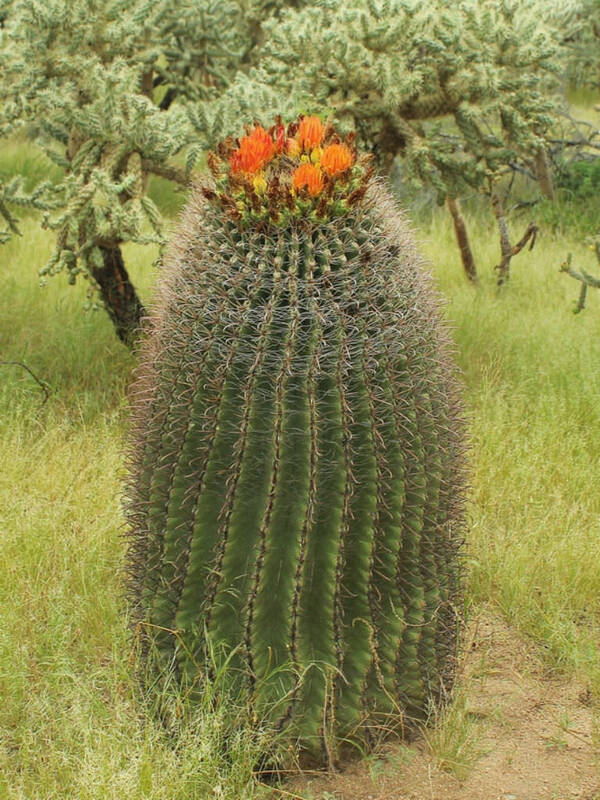 It has a leathery asparagus green skin with approximately 15-28 ribs per cactus. 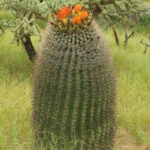 Its flowers are yellow to red-orange with reddish midribs and brown tips, up to 3 inches (7.5 cm) long and appear atop the cactus fruit during the summer months. 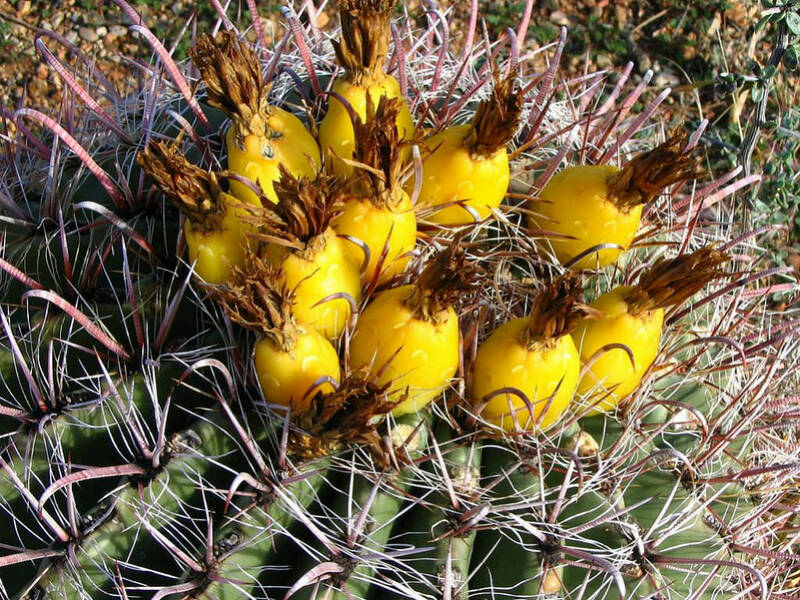 The fruits are green when unripe, yellow after the flower dries up, and persist atop the cactus long after the flower is gone, sometimes for more than a year. 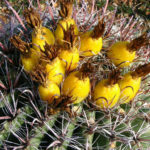 Native to southwestern United States and northwestern Mexico. 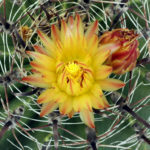 Next Article Can You Regrow a Cactus from its Arm?